39 – The Secret of Restaurant Profitability – New ways to look at Restaurant revenue and profit. The talk to Ivan Brewer from Restaurantology about Restaurant Profitability and the factors affecting it. We talk about a Restaurant using a Qandoo website and the issues that poor SEO and not having a marketing strategy is really hurting 1 Restaurant and Sydney and another that is taking over $100,000 a year in online orders and how they are saving $13,000 a year by not paying commission on their online orders. We talk about how much you should be paying for online Facebook campaign budgets for your Restaurant. It is a sad fact that 50% of restaurants fail within 4 years and only make 2% in profit. 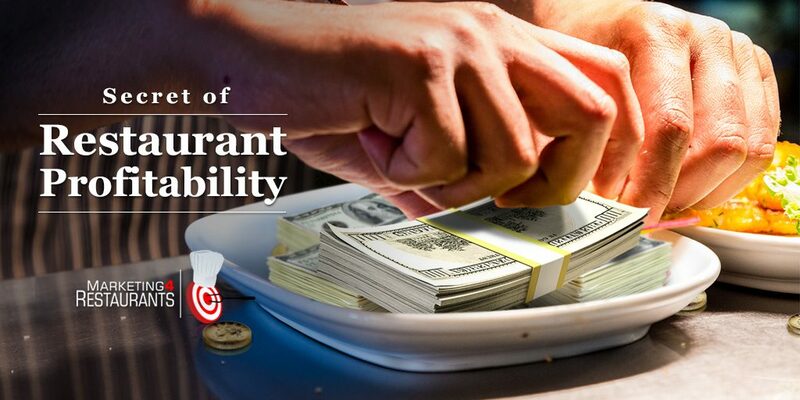 The biggest Restaurant profitability mistakes that people make when running a restaurant? People fall in love with their food and their restaurant without understanding the profit and loss, or even having a plan of how to be profitable. Not understanding key fixed costs. 11.6% of net costs are rent. Venues are often too big. 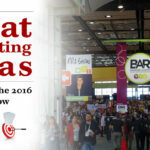 Large venues have 60% of revenue in 2 days of the week. High Rent as a % of revenue may not correlate to high foot traffic. If it was high, there should be more sales. How does Labour costs relate to rent and cost of goods sold. How many staff do I really need? We discuss restaurant productivity and ways to increase it. Discretionary effort. The more we engage our staff the higher the productivity of the staff. Listen to your staff and their ideas. The KPIs for a restaurant business viability test – % fixed costs / % variable costs. Fixed costs like – Accounting, Rent, Variable can be things like linen and gas. COGS should be pretty consistent with a weekly stocktake and weekly P+L. What is the labour %? Understand the key distribution of costs and be able to adjust in real time. How can you influence the time spent in the kitchen with pricing. How do you avoid bottlenecks in the kitchen during peak hours. You should have a costed roster. The dollar spend on a daily basis. How can the distribution of the restaurant across the week. Should we discount in the quiet times or charge a premium for the busy times. How does the pricing of the bar work and what opportunities are there to increase revenue and profit from bar revenue. Why should you discount on the bar, rather than in the kitchen? What is restaurant sales velocity and how do you influence it? Try rostering by 15 minute increments. We discuss a lot of advanced way to think about the profit and loss and how you can influence how much of the revenue flows to the bottom line. If you haven’t signed up yet, check out the 5 Minute a day Restaurant Marketing MBA. It’s totally free. Welcome back everyone Today we’ve got a really, really interesting discussion. Ivan Brewer from Restaurantology. Now, Ivan has run a lot of successful restaurants in his time he’s also done some Masters level studies in some of the more esoteric areas around the financial operations of a restaurant. I think he’s got some really, really key points to bring in. I think you’re going to get a lot out of the discussion that we have with him. Before we talk about that though, I want to talk about something that happened today that was kind of funny in the Marketing4Restaurants office so we were talking about, we have a meeting everyday with the whole team gets together and we discuss what each person is doing the issues and opportunities that each person has gotten around you know building out the product and marketing things were doing and we were talking about a customer who was using FORBS, our Free Online Restaurant Booking System we need to update our figures it’s done in excess of $17Million worth of bookings and it’s growing 10% a month, awesome product super excited about it. Now, one of the things we talked about we kind of reviewed our on boarding process and we were discussing one of our new customers and now I thought that you know some website, online booking system and I thought ah yep, then I thought hang on a sec I haven’t seen their name anywhere and now that’s not unusual because we got lots and lots and lots of customers and you know I’d just like to see how our new restaurants are going and so, we’ve got a big monitor of information for the company how I’ve walked up and looks like they’re not there and I thought now that’s a bit interesting now that doesn’t cover all of the paper then I started going through the email reports that I get. I get email reports everyday about you know, how customers are going and so I’m not seeing this. So, where are they? I’m starting to worry that there’s a customer who’s come to us they obviously want to get, find more customers and get more repeat customers. I’m thinking they are not appearing in any of my data so it doesn’t look like we are doing a very good job for them. Then the team said you know so this is the customer and they are in Perth. And I’ve gone okay good and I just Googled their name and I clicked on the first link, a little bit sad because it’s one of those Menulog dodgy websites. Menulog have created a website very similar to their name to try and capture traffic from people who are looking to deal directly with the restaurant. Menulog sort of create these sort of fake websites in front of them and then run ads to them and all sorts of things to make it appear that the customers are dealing directly with the restaurant and of course Menulog, being Menulog they’re probably charging them 13% and the most insidious part is that they’re not giving them the customers details you know so the restaurant doesn’t get the email address which means they can’t remarket to them so it’s quite nasty. So, where’s their website and then you know one of the marketers said I’ll send you the URL and I said no don’t send me the damn URL I want to find it in Google like this is what we do, we help people be found online why is it that I can’t find them and I’m going to the first page you know and then on the second page and you know the old joke about the second page? where would you hide a body? On the second page of Google because no one ever looks there and I’m thinking what is going on here? We spend all of this time and effort in providing our customers with websites that drive truckloads of traffic to their restaurant what’s going on and then I said why can’t they be found they said the website is awful why is their website awful we don’t build awful websites. No, they’re not a website customer.” Aaahhhhhh, oh okay”, they sent me through the URL the website looks hideous there’s absolutely no SEO that’s been done in there turns out its been made by Quandoo. Now the thing that’s super hilarious is that the reservations page its actually got our reservations system on it. Now the big, and I don’t know these guys at all, “Thai restaurant Perth” that’s all I know about them. I don’t know if they’re any good or not. I don’t know how many customers they do every week. We’ve got very little insight into that. What we do know though is that their website is getting zero traffic for them and I think this has got to be killing them compare and contrast. So we’ve got a restaurant in Sydney, an Indian restaurant, they have a lot of reviews are pretty good for them they are taking around two thousand dollars a week in online orders that’s going to come to quite out about a hundred thousand dollars a year. More importantly they’re using the free online restaurant ordering system, which means that they are not paying any commission and they’re collecting orders. So, the kind of thing that you can be doing if you’re doing online, if you’re doing take out. They’re doing 44 orders last week I think and they’re saving so all up they’re on track to save thirteen thousand dollars a year. Now, best practice we recommend you dump five and a half or six and a half of that so fifty percent of your savings should go into a marketing campaign. That’s over a hundred dollars a week that you may not even need to spend that much. Have a listen to the podcast on what should your budget be. They may not even need to spend that much. The secret of restaurant profitability involves many factors such as rent, labour cost, restaurant productivity, KPIs and other costs. It is really interesting because people finding them, they get quite a bit of traffic to their website. Their website looks quite new and up to date it’s got some great pictures in it. They’re one of our website customers, as well. So, getting thousands of visits every month, that’s accounting to a hundred thousand dollars’ worth of revenue, which you know I think is really powerful. You put them side to side with someone who is using Menulog, they’re going to be thirteen thousand dollars better off, which is probably going to mean a supported marketing campaign. Effectively something that’s being paid for out of the saved commission. I would’ve thought you know that restaurant owner is going to probably end up pocketing in extra eight grand, which you know from my point of view, that’s super exciting! Their orders keep going up because they haven’t started running their marketing campaign. Were in discussions with them at the moment on how they can run their own marketing campaign. I think that that’s the future. So, yes it was funny because I thought that, oh one of our website customers! It really does highlight the fact that if you have a website that’s not working for you. These guys, they have got our reservation system. They haven’t taken a reservation in three weeks! Seriously people, that’s got to be ringing some bells! Very, very scary! Remember, your website should be doing your sales and marketing for you. The Indian restaurant in Sydney, everyday they’re getting money coming in from their website. The Thai restaurant in Perth, everyday they’re losing out because people are looking for Thai food in Perth and they’re going to their competitors. That’s really sad. So onto today, Ivan Brewer, a really smart guy and he talks about some things that I have not heard anyone else talk about. Really quite a strong understanding of the way that you can create that recipe for restaurant profitability. So, let’s get into it and have a listen to what Ivan’s got to say about how you can increase the profitability in your restaurant. James: Hey Ivan, welcome to the podcast. Ivan: Hi James! Fantastic to talk to you today. James: Yes, so do you want to give everyone just a little bit of an idea about what it is that you do and your background. Ivan: Yeah, absolutely. Well, what I’m all about is restaurant, it’s my life! I have worked with a lot with people in the hospitality industry. I searched and stumbled in, and fell into it. When I was able to pick myself up again, I realised it’s something that I loved. I’ve been very, very lucky. I’ve worked with just a lot of people that have been very generous in sharing their knowledge, you know great mentors and just really world class operators. I’ve also started to take that base I’ve worked in pretty much in every type of operation that I can over the last twenty years from super high end to high volume to quick service style and rent hubs and the whole thing. I guess to me what really keeps me onto the next level was when I ended took masters level, and when I took my MBA and really wanted to become responsible for P&L. I really wanted to know what can I do, how can I make this business better. That really took me on a journey of questioning everything basically. I think for me it’s all about asking better questions and asking why and it started for me. I started to uncover some things that just didn’t quite make sense in what we were doing as an industry. I really wanted to be focused on one thing, that’s how do we improve profitability in our restaurants, and how we improve their survivability and success. James: And I think the restaurant profitability issue worldwide is something that a lot of restaurant owners are struggling with because so many of them are barely profitable or unprofitable for extended periods of time. It is really sad given the hard work that goes into so many restaurants. Ivan: And I 100% agree . I think, having to do work shoulder to shoulder with people in restaurants. Restaurants are an all or nothing kind of scenario. You know, in Australia to get a loan to buy, to buy a hospitality business it’s at 40% equity which is often someone’s house to top up. We employ enormous amounts of people. And those people then go off and spend money in the economy. Every restaurant operation & hospitality operation buys products, they are huge consumers themselves. They continually put back into the local economy, so they’re very, very important. They really are! And with them modern way of: you know we’re all busy, you know we love to go out and get a coffee we love to go out and take to get our kids something to eat it’s a huge part of the very fabric of our society and habits that we choose to live nowadays. And it’s really tough, you know in Australia, the best figures that we’ve ever ran is somewhere like 92% of our SME’s have smaller operations make 2% net profit and they could keep your money in the bank and make more money than that essentially crazy and you know 50% of them make it to their fourth birthday and even though we see a global expansion in terms of total spend it feels like there’s just more and more people leaving at the same time so the restaurant profitability keeps getting smaller and smaller so it essentially is a very, very tough game into full contact . James: It is a full contact game. So, from your point of view what are the biggest restaurant profitability mistakes that people make when they’re running a restaurant? Ivan: Probably the number one thing that I see people fall in love with food, they fall in love what it is that they want to do and that thing that they want to do doesn’t necessarily make sense within the specific context of their business. So it’s all fine they say we want to produce this type of food and they’ll be we want to be proud of that’s what we want to hang our head on but if your rent percentage is high if you haven’t constructed the overall business model to suit your specific location. Every location is going to be different you know the size of the business the location of the kitchen it’s all a little bit different so to me the number one thing is really understanding the impact of your key fixed cost the main one in Australia being your rent. On average 11.6% of your net cost is going to be spent on rent which is really high that’s very, very high percentage and I think it’s something that’s becoming a global trend the cost that we sort in Australia triggered in the 2000 mark because of the huge property boom and then the commercial properties went up so that costs of those locations and the physical size of their restaurant probably one, size of the rent we pay and two, another key problem is that their venues are too big so we have huge fluctuations within a week. I have a restaurant that I am working with, 60% of their revenue have convened today on a Friday and Saturday night other than that it’s a ghost town with the other five days of the week so do we build a venue based on big trading on a Friday, Saturday or do we have the dismal consideration towards not being unprofitable on the other five days of the week. This trend would be my number one thing that I would have a way that will pay cash when I look at a restaurant. James: So, 11.6 of net cost so that would be any, given the fact that profit is so low that would almost be 11.6% of revenue then, would that be right? Ivan: yeah exactly right, not a lot of difference between the two. James: So, if rent is such an important determinant for restaurant profitability, how do you start to think about rent? What are the factors that you want to start thinking about when you’re looking at that line item of what to pay now? Ivan: So rent for me what I would like, to see then, we’ve all heard the story from the commercial real estate from when you look into buy a business they say well gee the rent is quite high but you know it’s all about the foot traffic it’s about location but if you walk away from that and look at that from a distance a little bit you say well, it is a good location it’s so good for my foot traffic wouldn’t my percentage be lower because I’m making so many more sales so it’s about what is that percentage of being a turnover so the beauty of hospitality is I kind of describe it like you’re baking a cake so there’s going to be cake at the end every ingredient can be a little bit different every cook is going to approach a recipe in a slightly different way so it doesn’t matter 100 % as to what is the composition of all of those key ingredients and when they’re added in but it does matter what they all add up to so when you’ve got a high rent percentage you need to start thinking about low key effectively that has come into my profit so I just lost 3 or 4 % out of my profit because of where my rent sits so how am I going to claim that back does my business model mean now that I have a way in which I operate the business that has some downward pressure on my labor. Do I do counter service as opposed to table service do I focus on a high table turnover how do I go about adjusting my business to accommodate that and how do I do that within my cost of goods. That really informs everything once you start asking those questions you start thinking about what menu do I need to develop, what kind of throughput do I need on that Friday, Saturday night. How many kitchen staff do I need? First on peak time but also quiet time so if I’m only doing you know 40 – 50 people in a night can I do that with 1 or 2 staff instead of having a whole brigade and when I’m on my really peak time can I just do that with 3 or 4? You start to actually map out a pretty good idea of what the business should look like and how it is we then go about adjusting little elements of it to start to achieve that. James: Now obviously, you’re going to be more profitable if you’re able to achieve the same revenue per hour let’s say with less staff. How would you then change that number how can you employ less people during your peak period what are the kind of things that you will start looking at? Ivan: Some of the, if I go back and look through my journey probably the number one thing that absolute point and really focused upon is so much our productivity so please think about productivity is, is the output the result that we get for our input you know for the number of staff, for the number of cost beyond wages for example. Now there is a lot of discretionary efforts in our staff. You know they’ll all have staff that can, you know one of them is just going to you know be solid but not particularly fast or outstanding. And you have another staff member that’s humming away. The more we can engage our staff to that staff engagement in this particular strategy to be able to achieve that to a lot of operations it simply the matter of the profit that you need to get is within the productivity of your staff. You improve that level of discretionary effort and it’s not about burning them and overworking them and having them continually as your staff. It’s about being able get them highly engaged and to really listen to them because they generally know you know by being there I need to work, walk three times the distance within night instead of wasting my time doing these things how about we do it this way if you engage them in getting an understanding of how to be more efficient there is a number of strategies to look at that’s fully one of the absolute keys but it is down to slow service down to your food runners how does it they split up and to the head sections they have floaters there’s a number of ways in which you can look at that. The number one key thing for me is if you can really get an engaged team you can really unlock profit. James: Yes, that’s a whole different topic, in itself isn’t it? James: Because it is something that I think far too few restaurant owners pay any attention to because of the fact that is in itself a very difficult thing to do. Ivan: I completely agree and there’s, you hear a lot and I hear a whole lot this younger generation are frustrated and I just can’t really understand that to be honest and you can go to a local Gloria Jean’s or a McDonalds or you know any of your standard big franchises and they’re all 15 and 16 year olds and they’re awesome. Hahaha.. considering they can’t look at these guys. They’re really pumping and true. They’re fantastic and engaged. Then they’re there’s the thing is ask the task to engage them you can’t simply cough that football over to your staff and go off you go, go be engaged all the best. And there are particular things in designing and experiencing I’ve had a lot of success around making a venue a hundred percent extraordinary wines for example of those sorts of things get them excited on the journey get them excited about the products that they’re selling the stories that are selling because we sell stories we don’t sell products and hospitality we sell stories get them excited about that then they’re just going to get away. As you said that is a whole beast of its own. James: Exactly. what sort of KPI’s then should people really be starting to try and look out what are the key KPI’s if there is such a thing that you would look at? Ivan: So, this, When I want to do a business viability test because I want to look at a business the number one thing I’m going to look at first of all is the position forms the key KPI what is the current distribution of your costs? So, what are your percentage of fixed cost versus your variable cost and this is one of the key, key, key areas I’ve seen really you know highly experienced large organisations that are making one of this fundamentalist mistake. So we looked at fixed cost that is something that isn’t dependent on your revenue so it’s going to be more or less be the same it’s pretty much your accounting cost pretty much your rent those sorts things that are going to be consistent. Your variable cost can be things like your gas and your power the things that will fluctuate relating to buying your napkins you know relating to your revenue. That’s really important because we need to then understand what are your cost to goods consistent with your model on what is your labor target. Cost of goods should be pretty consistent it’s a concept that will bounce around day by day based on the actual sales mix on any given day but if you’ve got your menu under control, by your costings, by your wastage by that between management all those sorts of things and no mistakes for the night this is something I’d love to see done weekly and I personally run a venue, based on doing a weekly P&L which means a weekly stop change so I know exactly what my cost of goods are, but certainly would like to see that monthly to possess a context setter the only other thing is your labor so but the key understanding is as if you’ve forecast of ten thousand dollars next week and you’re going to look at 25% labor spend for you to hit that percentage across the target that like two and a half to spend on labor. But if you’re going to hit nine thousand dollars you no longer have two and a half thousand dollars to spend on labor and if you actually look at the nature of your variable cost because your fixed costs your rent is 10% by some ten thousand dollars spend revenue. If that revenue goes down, then your rent just become 11% you’ve actually got less to spend. You no longer have 25% percent to spend based on nine thousand dollars you only have twenty three. So, the more absolute key thing is understand your key distributional cost and to adapt real time to this really annoying dancing goal that we call our day by day revenue. James: And that’s pretty difficult to do. Ivan: It is and it isn’t if you get the framework done and you understand your business viability assessment that becomes in a standard formula then it is you need to have odds that i certainly like to see either a costed roster so that you know we understand it’s not just about rostering out people on a Friday night it’s about actually having a goal to spend having that we write our roster to we then need to be able to capture day by day in real time what the cost of our labor is. Now we go to the venue where I work get to a moment for example if were down by five hundred dollars an example would be a two weeks’ worth of trading so he had one week where he just made 9% profit the next week made the same 9% profit the difference with the second week and why I was absolutely so ecstatic about the second week because I made two thousand dollars less top line revenue but yet hit the same profit percentage now I need a hundred dollars or so for dollar value the ability then to roll back the ability to adapt to the day by day and defend you know you get to defend that profit target where I get your revenue results you need to be able to make a change within the business either in logistic cost of goods or to labor. James: Okay, so yeah, I think this is a really, really interesting conversation how would you defend your profit target? Ivan: so we’ve got an overall fixed cost I guess the challenge with hospitality what makes it so dynamic in a restaurant is this thing zipping around all over the place our revenues is not consistent with our costs you know you might only get there three months in your power bill you may get all this cost that are coming in at times all over the place we need to take a bit of an assessment as to what your twelve months’ result was. Have a pretty good idea this is what will last you, this is what your chief cost was this is what your book cost where this is you know probably going to be about where you’re going to be this year you can measure that. I like to measure that on the back of every 3 months it’s still a good cost assessment so that gives you an idea where your base line is and then we just need you need to react you need to react and say this is my profit and it’s, I like to look at 4 , 13 week periods and if you don’t get it one week so you need to look at spend details too much labor last week on the back goals wanting to make my profit target. Let us have a crack to seeing what you can do to reduce your labor the following weeks so just aggregate it you can crew it over week to week and there are particular strategies you can look at for example would be rostering by 15 minute increments instead of 30 minutes so instead of them easy coming in at 6 or 6:30 you might have some coming in at 6:15 you’ve got 10 staff then you would have saved yourself 15 minutes it’s only 6 hours it’s not massive amount of time you need to be able to phase it’s not going to be perfect but you can wait until you see the accountant three months and the track that he goes geez now that second week in January is a bit ordinary but what can you do about it then that’s gone. James: And that is one of the big issues with accounting is that it is backward looking and I’m always amazed by the number of people who wait until the end of the year when they go to their accountant to see if they’ve had a good year or not and that scares me massively because you need to be a lot more proactive rather than annually reactive to your restaurant profitability. Ivan: I absolutely agree. At the end of the day accounting the retrospective management of your account it’s an amazing tool and it’s an amazing specialization it’s through —– my love to gain insight operations by understanding what they do and some of the key things would be around things like —- turnover how we can apply some really interesting financial theory into our hospitality businesses which at this stage we don’t really consider really well. But you’re exactly right the real time nature of hospitality is such you need to make your adjustments in real time otherwise and I’ve seen it on bigger restaurants and businesses I’ve been involved in you can lose five thousand dollars in a week because if you are into spending that’s gone if your 5% net profit business that’s a hundred thousand dollars worth of earning to be able to recapture that five thousand dollars that you just blew and obviously every dollar that you save has to be a profit then take and you can’t just earn ten dollars to earn, you know get ten dollars revenue to earn that one dollar profit it’s really more efficient simply not to lose that one dollar in the first place. 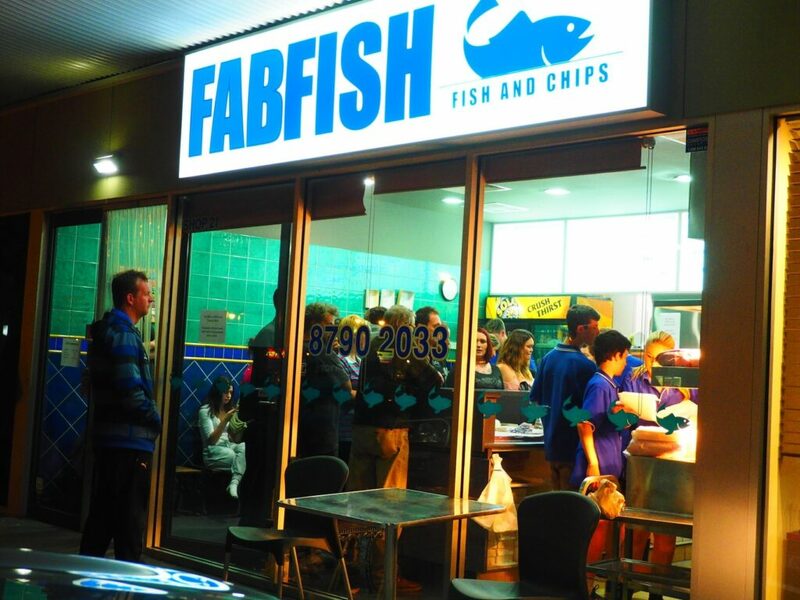 A busy fish and chip shop like FabFish is a success story that combines a healthy mix of expense and revenue that paves way to Restaurant Profitability. James: Absolutely. Now one thing that I’m really interested in is that a lot of people think about time in front of house there are some people who think about revenue per available seat hour do you think that concept of time applies the same back of house like what is the implications of time in the kitchen. Ivan: I think this is something that as an industry we don’t put a huge amount though it’s been around for awhile understanding your throughput really coined a series of constraints which is a good twenty years old I’m sort of understanding because when you think about it the kitchen is a manufacturing facility with a just in time inventory to pretty much going to be making the same thing the people will going to same as if they will order a car they’re going to make the same thing you know what they would largely have you just have no idea at what stage or what combination of items so it’s a manufacturing process and a menu design is absolutely crucial to facilitate an example I’ve worked in a large place it was very heavy on chicken. We’d go through per site probably around a ton of chicken a week let’s take chicken wings, chicken wings will cook nine minutes in the fryer for you to cook them so you don’t kill people now we all know that on a busy Friday, Saturday night you more or less have your two sittings’ you got the 6:30 diners that come in, 6:30 – 7 o’clock diners they’re getting their entrees but when they’re getting their mains that is when you’re kind of getting the next wave of people through and they’re getting their entrees see you want to make sure that you’re not clogging up your kitchen if you then got entrees that are taking nine minutes in the fryer how are you getting your entrees in your second sitting your mains are going to get held up. So how to really understand how we can construct the menu how we can, you can use pricing , pricing is a tool to improve the rate of sales in basic theory you going to be a little cheaper you’re going to sell more so something that might have a lower cost of goods you get lower profit it only takes 2 mins versus something that doesn’t take you 15 mins to do you’re only going to do four of those an hour we all know you could have peak time, peak time on a Friday, Saturday you get like 3 hours to pretty much manage your weekly revenue. James: I find this really fascinating because when you look at menu engineering this is often the component that is left that is dealt with retrospectively when after a month of trying the new menu people go “we can’t make this work because it’s taking too long to get stuff out of the kitchen” rather than actually thinking how does this take to prep, how long does it take to actually cook and how many of those could we do in an hour as you say you really need to be thinking about your peak times because that is when you’re going to be making most of your revenue. Ivan: Exactly right. And it’s a really good concept the front of house is out there selling stories of how to sell product when in their permanent output thought perspective so either only coffee machine in your bar or in your kitchen effectively selling time for something that takes 5 mins to do you’re doing for as an hour unless you’re going to have to add some more labor to it or more infrastructure to it that allows you to increase that output now even just tweaking that for being much more operationally efficient if that then becomes, if you’re taking 5 min then it takes you 12 then all of a sudden it takes you to 3 mins a lot of big saving a big difference all of a sudden you got 20 to be coming out without additional labor so even though we tweak cost of goods to me the philosophy is in indication but it’s not a hard and fast rule. We really need to understand what we get when we haven’t looked at cost of goods and I kind of describe it to people saying well we were obsessed with the percentage that’s the industry and got this percentage to hit on your cost of good so as a consumer to yourself James, would you rather spend fifty thousand dollars and then sell something for a hundred or would you rather spend two and a half thousand dollars dollars until —— to ten as an industry. Oh no you don’t want 50% cost of goods we like the 25% cost of goods but we’ve made fifty thousand dollars versus $7.50 so we can actually have a higher cost of goods to that but have more money in your bank you can actually win by losing. James: This is once again, I think, one for the problems is the far too few restaurant owners actually understand their P&L in any way shape or form They look at the bottom number and go that’s good or far too often they say that’s bad though the next step up is some people who are trying to apply basic metrics but not understanding why they’re applying those basic metrics so you might want to sell a steak because you’re going to make $15 on it you know when you’re selling it for $30 as opposed to people who been looking to sell well you know we can sell these for $15 because we’re making $7.50 on it . And I think less than 1% of people are saying of those two menus items how long does each take to prepare an are we creating a constraint within the kitchen because we’re not going to be able to get those out in time. We don’t want front of house pushing whatever this menu item is because it clogs up everything else it creates a lot of tension in the kitchen far too few people are thinking about these, these concepts either. Ivan: Exactly. We need to, often would I ask in here like this who we are this is what we do and this is all probably for what we have to pull so now I’m saying you have to stay that exact way. you can change your menu, you can change what it is that you’re doing because at the end of the day you wouldn’t believe it I’ve heard a number of operations say this to me so I’m like, where did you get your KPI’s from? so what you’re telling me, your KPI’s, where did your KPI’s originate from? Oh, no I saw them on the ATO file or I saw them on the ABS so okay you’re looking the average from the operations in Australia so there’s an enormous range from what you’re going to get but also that’s based on a 2% net profit and 15% value rate. So, you’re pretty much copying what are this that everyone else is doing and then that is the result they’re getting. Is that really the place you want to come from? Is that what you want to be aiming at? And we have a lot of options we really do, how fine dining restaurant is going to be different but overall it’s still a hospitality business, a restaurant but it, you know generally you’re going to have much lower cost than you’re purchasing because you have a fancy word to it you can have a much higher fit out cost on that restaurant you’re going to have a high reach out price you’re going to have a much lower table turnover you’re going to have a much higher labor percentage because they having to manufacture food more themselves this is a quick service restaurant which might do the opposite they get a higher table turnover they might have a faster service turnover in their hourly lower average check they have a slightly higher cost of good they got a lower labor so they got all of these tools to fit in and the problem I think within the industry is we got right thinking to roll out your service and cost of good at 30% labor model it does not mean it applies to your individual business and we’ve got a lot of things that we can do and I’m a big believer that people really are the experts in their own businesses the key is just giving them the right information and the right data and asking the right questions to allow them to come up with the best answers because when you see it, when you see what you’re trying to hit when you can see that board it’s awfully a lot easier to hit that number . James: Exactly, exactly and I think it has people skill up in a way that they look at it and stop pulling out metrics that work for them. We’re going to start to see a lot more people throwing some decent money to the bottom line which would be exciting. These seem twisting cause you look at that data and there’s plenty of places that will come out with you know these are the averages for this that and the other thing. I was reading a study on something that was completely unrelated. It was a flight suits for US Air Force pilots and what they done is they’d created this sizing based on the averages of all of their pilots. Now, the massive issue with that was that they were taking the average chest size, the average arm length, the average leg length and the average waist size and the suits that they were making fitted virtually no one because no one had was fitting within that distribution there were people who had shorter arms and longer legs or bigger waist. They weren’t very, very, very few pilots were average across all of the metrics that they were applying so you look at what you’re talking about I think the figures 40% cost of goods sold, 31% labor, 15% overhead and 11% rent. There’s probably very, very few people who are fitting that model and yet everyone is trying to come up with to make that work which is really setting them up for failure. The other thing I think is that people aren’t individually in. As you said earlier and love that phrase it’s about the questions that you ask. There are people who are saying what can I do to change my cost of goods sold. how can I make a difference there? when you start asking that’s when you start seeing the innovation and you’ll find people who are significantly out of whack either plus or minus because they’ve actually made, decided to take an action and to do something which is then going to work with the market and provide something that no one else is doing cause they’re actually doing something significantly different to everyone else and the customers are go, Wow! this is different, this is exciting. Ivan: And I think we really are wedded to perception of an ideal in a restaurant. I think for me personally one of the best places that I’ve ever been to and I really, I sit down in a restaurant and I just look at it all so I’ll have a bit of an idea going out. I can pretty much guess what the average check is I can see the number of staff and your early cash flow. I have an idea what the rents going to be at so pretty much within 15, 20 minutes getting an idea where you’re sitting from a profitable perspective, whether it works or not. Now there’s a lot of things that actually are flexible. As I have mentioned there actually nothing wrong with having a high cost of goods you just need to have a lower labor, so if your model is that we and you see a lot of the what we wedded for the love of a burger setup so you’ll have just not even a necessarily qualified chef at the back. It’ll just be someone that’s just an experienced cook or a chef and a couple of outsiders, one person on the counter someone out there might be clearing tables. It’s about how rapid they are selling the items lower price smashing it out, got lower rent percentage , cost of goods is high but the rest of the business is coordinated to actually have a downward per ——– costs which is a really key thing and I love your story about the flight suits I should have described it insane look like James I want to buy you any pair of shoes happy days mate these are the average shoe size off you go, go wear them which of course you can’t because the average by definition doesn’t actually fit anybody it’s distributed like the ———. Ivan: We do have a lot of options, I think ideally you want to look at if you can setup your infrastructure to when you’re starting the business if you can capitalise those decisions as in if you spend money up front that is paid for by your bank line and then has downward pressure on your labor every single day to me that’s a massive win. You going to win in a lot bigger way on the labor you’re going to save week by week. Then you are on the slide you’re going to pay more money on paying bank on equity, above scene, an example would be of the top of my head would be I don’t know if you have seen some of those pour my beer, beer taps where the customers themselves go out and pour their beers you know they put some money on the cart and they go pour their own beers. See you can have a lower price point because they are actually doing it themselves but you wouldn’t have the labor either you kind of pushed the labor, you are paying the customer effectively by having a slightly lower sell price now that a strategic decisions to make. And going back to one of my key favorite restaurants we see on the Sunshine Coast it was terrible infrastructure it’s your plastic tables and chairs that you get that you’d see in an old resort that had been out in the sun too long there were mismatched plastic cups there were wet cutlery because they’re being turned over so fast but the food was phenomenal and it was cheap and it was an hour and a half wait so people are understanding well actually I’m happy to give up on that experience because I ‘m getting an amazing product at an amazing price. we don’t have to have everything perfect because we as consumers we are happy to say I’m willing to take the hit on the infrastructure in that part of the experience because the other part of the experience is absolutely phenomenal. James: And I think that’s the really important thing, you see it all of the time you’ll see you know. I think it’s not great to have crappy food but at a good value. It’s very interesting though when you see really, really, really good food in a dodgy environment because often the dodgy environment is part of the experience. And so many people talk about the best meal that they ever had and it’s in this dodgy restaurant that sometimes no ever knew about that the chef came from this country and was a top-notch chef creating meals with the best ingredients that they possibly could get and creating this experience and sometimes you know some of those restaurant literally dive restaurants do have significant queues not a lot of investment technology but just amazing food. Ivan: And these are role strategic choices and the business decisions that are made and that can still be very, very successful. The thing is in Australia is we get very over wedded into these massive big menus which make no sense to me the more that you travel the more you see other cultures doing the opposite. You go through Asia you might go to a town and there’ll be one restaurant and they are the best in the whole area for dumplings all you’re going to get are dumplings. There’s nothing wrong if you’re going to make a reduced offer just make them absolutely amazing and you’ll sell them out the door. And, you’ve seen this more and more like when Chipotle rolled out in the US before they started poisoning people it was what six, six menu items they used to only do each item really well having a really good throughput understanding how is it that you’re creating that environment and speed in production. So, that has to have enormous menus. I suggest the opposite a lot the —– suggest you want to be looking at around seven entrees and six entrees and seven to ten Mains and Desserts are again a strategic choice if you are a lower table turn environment we really want to strive for higher average check and you can have the means to support that and prop it up a little bit. Then it’s getting to a lovely dessert if it’s really all about making money on your entrees and your mains you just want a quick fast cheap and chewy dessert so you can get people on the way and get the next one on the sheet. James: And not enough people. It’s interesting I’ve spoken to restaurant owners who work really hard to try and create that full 2 hour dining experience when just scratching the mirror’s surface of how they make money in that business you can see that they need to turn their tables 2, 2 1/2 times a night that they haven’t thought and they’re actually doing everything they can to stop that by giving people, you know one of the big things is offering free wi-fi in a place where you want to be turning people over probably not the best idea because people are more likely to sit for half an hour while they surf the web. Ivan: Exactly, right. I’ve seen some places in New York for example I’ve seen places too in the UK and London absolutely refuse to offer wi-fi and I love that to me they have every single person sitting in there I fact you get the ambience of people talking and people come in come out. The whole idea of coffee being an espresso was fast it was an express you’ll come in and in Italy you have stand up coffee bars you don’t even sit down, you come in, you have it, you go . I love and, for me the most wonderful environment is that of people you know I always turn the music down at my restaurants as it’s filled up because the sound of people is just compelling it’s an absolutely fantastic ambience not people sitting there staring at a screen buying one coffee an hour. James: Exactly, now one concept that I find really, really interesting is huge utilisation and now that implies discounting you’ve got a different take on that though so rather than discounting, do you want to tell us your thought on the distribution across the week of your business. Ivan: Yeah absolutely, so you will sort of fundamental thing that they want to have a way bit of a look at within our business so we go back again to our cost of goods scenario. I like to see my key area that I want to apply discounts to in my bar because to me bar is more retail than manufacturing cause most bars most of the time are simply repackaging a good you’re taking it from a tap, you’re taking it from a bottle and putting it into a glass so the ability to create your throughput and your opportunity for throughput is almost uncapped in a bar. I’ll run bars with only three staff do a thousand dollars an hour but I still only need three staff do four thousand dollars an hour but I’d be much rather doing the four thousand dollars an hour bit. So, when we look at discounting, Friday and Saturday that’s your peak time so that’s your full price time you definitely want to maximise your add on sales then I’ll talk about how I sort of conceptualize with that a little bit a little bit later. For me I want to discount during the week I’ve got no problem with discounting, there’s two caveats one, you obviously don’t want to be getting less money from the people who already spent the higher price and two I often see in a restaurant ah yes Tuesday nights are going fantastic we discounted it to here it’s going so well I’ve needed to hire more staff. Wait a minute so you now increased your costs but you decreased your revenue you’re just as bad if not worse than you were compared to your previous Tuesdays. So, we can look at things like if you want to do on a Tuesday you can’t increase your variable costs any turnover as mentioned around your dollars per table. Table is a seating perishable inventory item. Every hour from not sitting there you will never get that opportunity to sell it again. See you want to get a yield from that you don’t want to be adding additional variable costs to get it because you’re just going backwards by going that way. The big thing I did when I looked at a whole group of restaurants that I was responsible for. I did this linear regression in some fancy statistical way I tried to understand the relationship between my labor spend and my revenue so according to this little statistical tool which is really cool. And what I found was that my break-even point and my labor at zero revenue was eighteen hundred fifty dollars a day per side what I found then was that for every dollar so 10 cents more, sorry, let me slow down. For every dollar, more I took in revenue above that line it only cost me 10 cents in labor. So if your labor is more or less being capped once you get past that point you just want to have people to selling more and more things because if you sell 50 items or you sell 20 items your rate still the same you don’t have all of the same costs coming out of those extra items so that’s where I really like to save food you want to keep that costed well if you’re going to discount during the week change your concept so you don’t increase your variable cost things like your labor and then just try to get that average spend up by improving the throughput through your bar. James: So, you think discounting on the bar is a lot more effective than discounting your food items? Ivan: Absolutely. For the reason that your throughput is almost on cash. So, if you pretty much can maintain very hard to double your throughput on a particular item you can strategically, well I have discounted an item that was $7.95 then its cost to me $1.10 to make but what it did was by turning it down to $6.50 I nearly doubled my turnover but it was still only taking me two minutes to make. and it actually took a little bit of time off of the kitchen when we were trying to get the mains out so that’s a strategic little bit of discounting where I can improve the sales velocity but it didn’t cost me any extra labor. That my variable cost didn’t go up so you can be quite careful if you’re going to discount you state anything you need to get in the extra two steps to handle it and your prep is gone out the window it doesn’t really make a lot of sense cause you’ve just given up more in those costs than you would make the money, the extra money coming through. But from the bar perspective you want to, to me I think you’re just repeating one of the biggest, biggest thing is that we don’t really ever consider and it’s never failing about our cost of goods mindset if we don’t think about our inventory turnover from calculate our cost of goods is not even part of the assessment so cost of goods is based on our starting inventory plus what we purchased equals our cost of good plus our ending inventory assume that twenty thousand dollars extra in the turnovers not turning over it takes a month to turnover. Again, we can actually get a smaller yield to allow a profit margin to turnover your inventory and your bar twice a month compared to once a month and actually make more money and that’s the goal, right? James: For most of us, probably yes, like it should be. For far too many people it’s an unattainable goal I think in their mindset. Far too many people I speak to just say it’s a really, really tough game and you know we’re doing as good as we can ” and that’s like if I was doing as good as you are doing I would stop playing this game cause it sounds like crazy or if I was committed to playing the game I would do something different . Ivan: In a lot of the time people are thinking it feels like they can’t get out where there is a particular one way something I know that has been a very strong feature yourself and what drives you in contributing to the industry just become the owner that takes the hit. The poor owner he is churning out doing an idea one hundred hours a week and it’s pretty hard to start being the best you can be and offering the best to your business of yourself when you’re absolutely exhausted and he’s doing that day in, day out. The thing that if we can look it, set aside our rose colored glasses and actually look at it in a different way and understand that there are things that we can change and think about what we can do to change that’s a whole different world of opportunity. And at the moment when I look back quite hard to sort of understand what the nature of our industry is specifically its enormous for a start the Bureau of Statistics has not really done anything since 2007and 8 and all the other proxy estimates of the market through Ibis and these other reports come out what they suggest is that we’ve nearly doubled the number of operations over the last five years though we’ve only increased the total market by 5%. So, we’ve now got pocket loads more of operators out there competing for a really quite a small pie so it’s a tough gig and people can’t get out people can’t sell because there’s no one’s going to buy them they are not making the money that they need to be able stay in there and you can’t walk away because your lose your house. Really the matter to get this back and thinking about things in a bit of a different way and that there are a lot more options just not, don’t be a slave to this average mindset that this has to be a particular way because there a lot you can do to be as successful as you deserve. James: It’s really interesting though and I think the main reason I’m talking to you is that when we talk to restaurant owners you can see that this is the biggest problem. I think a restaurant owners should be spending some time being the better leaders thinking more strategically, being more innovative and of course at some stage they need to sit down and do some damn marketing that would be a good idea that may just help a little tiny bit. So many people we talked to, they go “yeah, I know I need to do that but what are you going to do I’m working 70 hours a week when am I going to fit that in”. These are the kind of things, thinking about these sort of thing if you’ve got 15 minutes to work in your business and you haven’t covered off on some of these points that we have discussed today they’re going to be the easiest and quickest wins that you can actually start making a little bit of money cause money buys you time, you can employ someone else to do probably a lot of the work that you’re doing. There’s some work that only a business owner can do either being the leader or mentoring the leaders within the organisation thinking strategically that and setting down the vision for the organisation that’s really the business owners kind of job but what we find so often is that they’re waiting tables and they’re helping out in the kitchen or I’ve had business owners deliver food to me on a Friday night. You know what I reckon there might be a better role for you. James: They love seeing me. Ivan: Quite a big moment for me when i first started this 30 years there’s a of evolution of management right like I think when you first start out the very first place we’ll get to is just find me how to clone myself if only I can do everything , if only I could, everyone can be exactly like me and that’s kind of the first place you get to that’s not the place that’s not where you want to end up as a leader. The very, very essence of being a manager like the goal of leadership is to achieve business outcomes through the activities of other people. When you really take that into your soul and really accept that. There’s a very different way in which you’ll go about leading so to me if I passed that member I’m not here to do their job for them I’m there to try and facilitate their success and get as many roadblocks at them as possible and it’s going to be a ton of zeroes some game people are going to make mistakes these things are going to happen that it’s just human and we can’t really what if it’s a buffet we have three hundred meals that have to go out in three hours and you get three complaints that’s actually really, really good what other industry is happy with that set dynamic industry with having a 1% value rate, be stoked. It is a matter of understanding where I find and we’ve all gone and I’ve gone through this myself yeah you know you can be a bit of a martyr, I am working 70-80 hours a week but I’m really not getting 70 or 80 hours of work or work done in those 70 -80 hours because I’m stuffed I’m really, really tired, I’m not particularly efficient there are plenty of time well enough time within a week investigate things that will make things better and get you a better understanding once you get that once you get that framework and you get that understanding it’s like you can , like seeing the dots in the matrix you start to actually understand that you can make changes and understand the impact of those changes and just keep on changing it until you get the result you want. 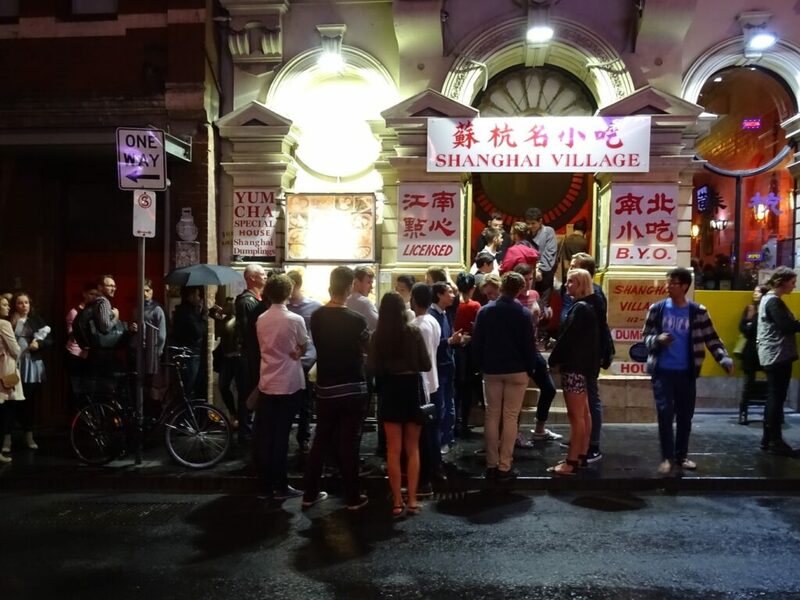 Long lines outside the restaurant is a good sign that people love your food, like Shanghai Village. Many restaurants would love to see a lot of eager customers, but does this equate to good restaurant profitability? James: Absolutely, we’ve covered a lot of ground today and i think that there’s a huge number of nuggets in there for restaurant owners I think there’s also a lot of ground that we haven’t covered so it’ll be really good to get you on to talk about a couple other topics that would really, really help people to create that restaurant profitability and I think it’s all about finding those little tiny wings so that you can start working manageable hours and then start running a real business rather than just being , doing the jobs of two or three other people as well as your own. Which is just absolutely madness and that’s why so many people burn out and the businesses fail and people lose their homes. How sad is that? Ivan: I agree, and I think if people can get back to a place in which they turn out to work they start their week with the same amount of vigor and enthusiasm they did when they first got involved with the business. And that would just be a revelation that’s a massive gift to give back to people that have that passion because that’s what we all want as consumers because we’re all consumers as well. we want to be able to enjoy places that happen to be and support them and help them to be successful and keep their homes and continually contribute to the broader economy. And it is this wanting that little changes bring big results. James: yeah, yeah. alright excellent, thank you very much Ivan. No doubt we will talk soon. Ivan: Absolutely, anytime James. It’s been a real pleasure. Ivan: Thanks mate bye, bye. James: So, I don’t know how you got on with that we talked a lot of numbers, a lot of figures, now one of the things that were doing with Marketing 4 Restaurants is we’re including the transcripts in our show notes. now so Christine one of our awesome team members she is transcribing all of them God Bless her heart! If you missed some of those numbers you got to go back and have a read through. I think this is one of those podcast where you may want to go on and have a bit of a read so it won’t go off immediately if you’re listening to this in the first couple of days normally it takes her probably three or four days before she gets the transcript out. Oh, her and Jazmin actually put them out but it will be Christine who’s working through that. Have a read through it and start breaking down some of those things. I’m always amazed at the people who don’t look at their kitchen configuration when they’re planning their menu. But hey that’s just me. The big take outs that I got from that conversation would be cost out your business and create a budget, okay. I think this stuff ties in really well with the stuff that we were talking with Robbie about in last week’s episode about “How to Buy a Restaurant“. You’ve got to have the end in mind, too many people don’t have a budget for what they’re planning on doing in a week. Try rostering in 15 minute increments, what a great idea that is. they’re that one of those ways and I love that idea cause it’s a practical way that you can make a difference to your labor costs on a daily basis. Look at costing your menu for time as well as cost of goods sold and labor. Too many people don’t do this. Aye, too many people don’t cost their menu. Too many people only cost it for the cost of goods sold you’ve got to include your labor component in there as well. And then look if you’re creating a bottleneck and this is the thing when you look at that menu engineering matrix, if you’ve got something that’s creating a bottleneck that implies scarcity, put the price up. Move some of your demand from, if you put your price up you’re going to make a highly profitable item so move some of that demand into something you can cook and be quick so that you have the right mix there. And this is why it’s good to have a few items on the menu not too many of course you can turn out quickly some you can make really good money on. i think that’s the essence of the menu matrix. Look at discounting your bar rather than your food now i never thought of this and I think that this is absolutely amazing if you use your bar as the loss ledger to bring people in, you can get a lot of people in you’re not going to create a bottleneck whereas if you’re using food then you are. hmmm… really interesting. And think have a look at your inventory turnover as well. It is scary just to think you have some places where you can tell they’re not turning this stuff over that quickly. There you go. Once again Hit us up on Facebook, send us an email love to hear from all of the restaurants all around the world who are listening to the podcast and who will be coming our customers, hopefully by the time this one goes live we will be in nine countries we got our first customer in Dubai going live very shortly that is super exciting. I’m really excited to as we increase the number of countries that we have got restaurants in. We are hoping and of course 108 countries or whatever it is now, whatever up to who are listening to Secret Sauce. Don’t forget the 5-minute a day restaurant marketing MBA. so we have sent out just under a quarter of a million emails and we have got an open rake of around 25% which is amazing when you consider we’re sending out a quarter of a million emails. I know that those emails are going to people all around the world just with a little tip, trick, strategy, tactic, idea or just a little bit of inspiration to help you find more customers and turn them into repeat customers. So that’s it there’s plenty of ideas out there to help you run a more profitable business so that you can work a little bit less time and start focusing on the really important things to help you find more customers and turn them into repeat customers. I hope you have a busy and profitable week.